2. Please write OZ in the subject line of your email. 3. All three parts of the question must be answered correctly. Entries will be accepted until 5 p.m. Eastern time, today, October 20th, and the winners will be notified later this evening. a) Who was the actor originally cast to play the Scarecrow? b) What was the name of the long-running Seventies series in which he played the title character? c) And what was the name of the series where he first played that character? a) Buddy Ebsen. 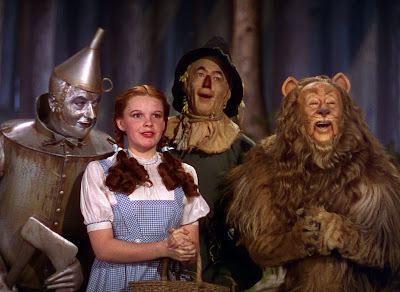 He dropped out of the role only after Ray Bolger persuaded him to switch parts; suddenly Ebsen was in the role of the Tin Man, and the costume irritated his allergies so much that he had to drop out of the whole movie entirely!